It's Facebook Fridays! for December 2, 2016! and you can summon and command the woman of your desire! 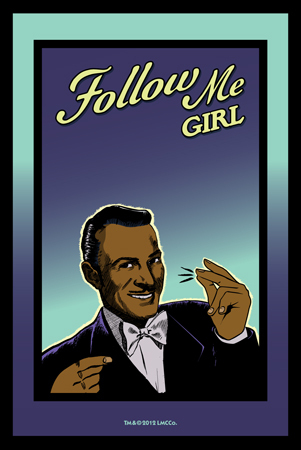 The Lucky Mojo Curio Company is holding a random drawing to give away 10 Follow Me Girl spiritual supply prizes designed to enable a man or a lesbian woman to dominate and control a female lover. This week the prizes are 1 blessed and dressed Follow Me Girl Vigil Candle, 3 bottles of hand-made Lucky Mojo brand Follow Me Girl Dressing Oil, 3 packets of Follow Me Girl Bath Crystals, and 3 foils of Follow Me Girl Sachet Powders. 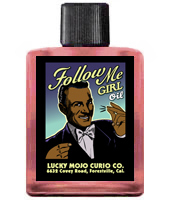 First thing tomorrow morning, we will select TEN winners at random, announce their names here, and ask them to message this Facebook Page with their mailing addresses, so we can send them their FREE Follow Me Girl products. Get your freak on, folks, and enter the giveaway NOW! We have a winner! In fact, we have 10 lucky winners! Our Facebook Fridays! winners for December 2, 2016 are: Zeke Harrington, Joseph Furuyama, Daryl Van Dyke, Frank Kohn, Paul Angelini, Michael Mercier, Dana Wright, Nicholas Fly, Carmin Austin, and Jonathan Vanek.